The information related to the Expedia®+ Card from Citi has been collected by CompareCards and has not been reviewed or provided by the issuer of this card prior to publication. This offer and/or promotion may have since changed or is no longer available. The Expedia®+ Card from Citi — with its $0* annual fee — targets those who like to travel and have an Expedia.com account. New cardmembers Earn 15,000 Expedia+ bonus points after $1,000 in purchases within 3 months of account opening*. You earn 3 Expedia+ bonus points per $1 spent on eligible Expedia purchases, 1 Expedia+ point per $1 on all other purchases, which is redeemable for $200 towards a stay at a +VIP Access™ hotel. The bonus translates into $200 that can be used for a stay in a +VIP Access™ hotel. If you travel regularly, the 3 Expedia+ bonus points per $1 spent on eligible Expedia purchases, 1 Expedia+ point per $1 on all other purchases can be a good deal. Earn 3 Expedia+ bonus points per $1 spent on eligible Expedia purchases, 1 Expedia+ point per $1 on all other purchases, with no maximum on the amount of points you can earn. Travel can be booked and points can be used on Expedia.com for flights, hotels, activities and vacation packages. There are no blackout dates and you keep your points as long as there’s activity on your account once every 18 months. You get Expedia+ silver status, which comes with a 10% bonus on rewards points earned on eligible Expedia purchases, exclusive amenities and 250 bonus points for stays booked at more than 3500 +VIP Access™ hotels. Get one elite qualifying hotel night towards gold status for every $2,500 you spend on your card between January and December. With the Expedia®+ Card from Citi, you can earn Expedia+ rewards bonus points with on travel and non-travel spending, with no cap on the amount of points that can be earned. The card’s 3 Expedia+ bonus points per $1 spent on eligible Expedia purchases, 1 Expedia+ point per $1 on all other purchases covers Expedia bookings including flights, hotels, activities and vacation packages. You also earn points on any airline, hotel, activity and select cruise lines booked at Expedia.com. No blackout dates. For travel lovers, this card is a dream, since you can redeem your points toward flights or hotel stays booked on Expedia.com, with no blackout dates. Your points don’t expire as long as you earn or redeem points at least once every 18 months. Elite status. Another great benefit of the Expedia®+ Card from Citi is receiving automatic Expedia+ silver status each year of your card membership. That translates into benefits like a 10% bonus on rewards points earned on eligible Expedia purchases, exclusive amenities at more than 3,500 +VIP Access™ hotels and access to a dedicated concierge line in places like Orlando and Hawaii for booking activities with Expedia Local Experts. Silver members also get 250 bonus points for eligible rooms or package stays at hotels bearing the VIP Access icon. You can earn one elite qualifying hotel night towards Expedia+ gold status qualification for each increment of $2,500 spent on your card between your January and December billing statements. Flight flexibility. You can use your points to book flights, but you must have enough available to cover the entire cost of the flight, including taxes and fees. There are no airline blackout dates when booking flights on Expedia.com. Flights do not have to be round trips, and you’re allowed to book them out of different airports. And while only a cardmember can redeem points for flights, they can book it for any person they want. Easy to use points on hotel stays. If you’re booking a hotel room, use your points to pay for part or all of the cost at an Expedia Rate hotel. Points can be redeemed for +VIP Access™ hotels at double the value of non-VIP Access™ hotels. Use points to book vacation packages. You can also use points to book flight/hotel vacations that include an Expedia Rate hotel. When you redeem points for a reward coupon in a selected amount, you will be issued a reward coupon code, which will be deposited into your Expedia account. You can then redeem it for your vacation package. Transfers are a no-go. You can’t transfer the points earned on your Expedia®+ Card from Citi to airline or hotel loyalty programs, which gives you less flexibility. But, you can boost your points by booking hotel stays in Expedia’s VIP hotels, earning double the value. Earning low points on non-travel categories. If you spend a lot on popular non-travel categories like dining or gas, there are other cards that offer you more points. You can only get the most from this card if you book regularly at Expedia.com. Fewer perks. The Expedia®+ Card from Citi doesn’t have the travel and retail perks — like trip/auto rental insurance and purchase protection — that come standard with other cards in its category, like the Bank of America® Travel Rewards credit card. The foreign transaction fee. If you travel outside the country, there is a 3% foreign transaction fee. Citi® Private Pass®: Get special access to purchase tickets to thousands of events annually, including presale tickets and VIP packages to concerts, sporting events, dining experiences, along with complimentary movie screenings and more. Citi® Concierge: Use this staff of specially trained experts who can help your travel, shopping, dining, entertainment and everyday needs. We decided to match the Expedia®+ Card from Citi head to head with the Bank of America® Travel Rewards credit card because both cards are solid no-fee travel reward card options. Both cards have a bonus that translates into $200. But the Bank of America® Travel Rewards credit card’s 25,000 online bonus points after you make at least $1,000 in purchases in the first 90 days of account opening - that can be a $250 statement credit toward travel purchases translates into a $200 statement credit that can be used toward all travel purchases. The Expedia®+ Card from Citi allows you to Earn 15,000 Expedia+ bonus points after $1,000 in purchases within 3 months of account opening*. Once you spend the required dollar amount to get the points bonus, it also translates into $200 — but you can only spend it toward a stay at a VIP Access™ hotel. 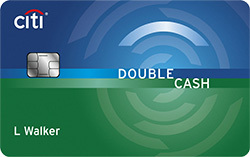 Neither card has an annual fee. With the Bank of America® Travel Rewards credit card you Earn 1.5 points per $1 spent on all purchases, which is not as generous as the Expedia®+ Card from Citi’s 3 Expedia+ bonus points per $1 spent on eligible Expedia purchases, 1 Expedia+ point per $1 on all other purchases when spent on Expedia-related purchases. Although the Expedia®+ Card from Citi’s 3 Expedia+ bonus points per $1 spent on eligible Expedia purchases, 1 Expedia+ point per $1 on all other purchases are more generous than Bank of America® Travel Rewards credit card in the travel category, you only get the higher points on Expedia-related purchases. While you do get a 10% points bonus on Expedia.com, your points are better leveraged with the Bank of America® Travel Rewards credit card. That’s because once you’ve earned your points, you can make them work harder for you by using Bank of America®’s Travel Center website. When booking travel through the site, earn 3 points — 1.5 bonus points and 1.5 base points — for every $1 spent, with no limits on bonus points earned. When booking travel, you don’t have to worry about blackout dates. Plus you can redeem your points for a statement credit to pay for things like flights, hotels, vacation packages, cruises, rental cars or baggage fees. If you’re a Bank of America® customer, you can also get a 10% points bonus on every purchase when you have an active checking or savings account. And if you’re a Bank of America® Preferred Rewards member, you can earn between a 25% to 75% bonus on every purchase. This translates up to 3.5 points per $1 on travel and dining purchases and up to 2.62 points per $1 on all other purchases. You can also redeem your points with cash back as a statement credit or deposited into your eligible Bank of America® or Merrill Lynch® accounts, including checking, savings and 529 college savings plans. And you can use the cash back to buy travel, including air, car rentals and hotels through the Bank of America® Travel Center, or redeem it for gift cards. Unlike the Expedia®+ Card from Citi, the Bank of America® Travel Rewards credit card has no foreign transaction fee. Perks available with the Bank of America® Travel Rewards credit card’s Visa Signature® access includes car rental and flight insurance, roadside assistance, extended warranty, purchase protection, travel assistance and lost luggage reimbursement. You also get a FICO® credit score for free. The Expedia®+ Card from Citi only offers silver status, along with access to Citi® Private Pass® and Citi® Concierge for help with things like event tickets and help with tasks like dining reservations. Overall winner: The Bank of America® Travel Rewards credit card clearly comes out on top. 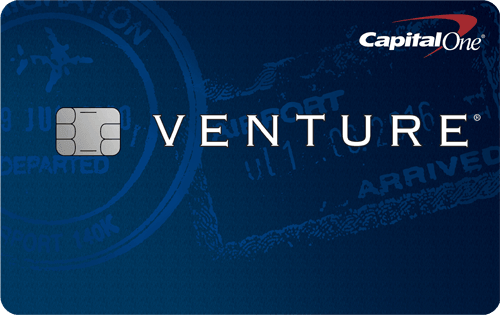 Neither card allows you to transfer your points to airline or hotel loyalty programs. Outside of travel, there are other cards that give more points per $1 spent than these two. Both cards give you the biggest bang for the buck when you use their websites to redeem points and both have similar sign-up bonuses. So the decision comes down to which card gives you the most. If you’re a loyal Expedia user, then the Expedia®+ Card from Citi is probably your best bet, since you earn more points booking through Expedia.com. But if you want a card that gives you a set number of points no matter what the category, and one that offers more robust perks and fewer fees, then the Bank of America® Travel Rewards credit card may be best for you.